Do you enjoy munching on snacks but feel like you need to avoid them in order to lose weight? Not all snacks are created equal. Low-carb snacks can help you to avoid spikes in blood sugar levels and prevent your body from storing fat instead of burning it. I’ll be the first to admit that I love to munch on snacks. I’ve always had the tendency to go straight to being “hangry” when my stomach feels empty. This is why I usually carry around emergency snacks in my purse. The good news here is that you do NOT need to starve yourself when trying to lose weight! Here are the top ten low-carb snacks that helped me in my postpartum weight loss journey. Many of them are high in protein, vitamins, and minerals that are essential to weight loss. Some of them are quick and easy to prep, but many don’t require any cooking time to make healthy snacking easier for you. The key is to make sure you are stocked up on these so you are not tempted to make bad choices when you’re hungry. Eggs are a great source of protein which makes them ideal for weight loss. Boiled eggs are my favorite go-to snacks and I try to keep stock of extra eggs in my frig just in case. You can prep ahead by boiling a half dozen eggs or more during the weekend and store them in the fridge for readily available snacks all week long. Bonus Tip: sprinkle fat burning spices like cayenne pepper, paprika or black pepper for a boost in your metabolism and taste! You can also easily “upgrade” to deviled eggs with this Skinny Wasabi Deviled Egg recipe. Yogurts are packed with protein, rich in calcium and crammed with gut-healthy probiotics that aid in weight loss. Just avoid the sugar-laden flavored varieties and go for plain. You can easily enhance the flavor on your own with sprinkles of cinnamon, a teaspoon of raw honey, or low-carb fruits like strawberries or raspberries. Dark chocolate is a superfood that is loaded with fiber, nutrients, and powerful antioxidants. It may potentially lower the risk of cardiovascular diseases, raise HDL (the “good”) cholesterol and reduce insulin resistance. Most chocolates contain some sugar, so choose one with a high cocoa content (preferably 85% or above) to minimize the amount of sugar. Over time I find that my taste buds prefer the rich dark chocolate over the sweet ones. Alternatively, organic raw cacao is a superfood high in antioxidants and phytonutrients. 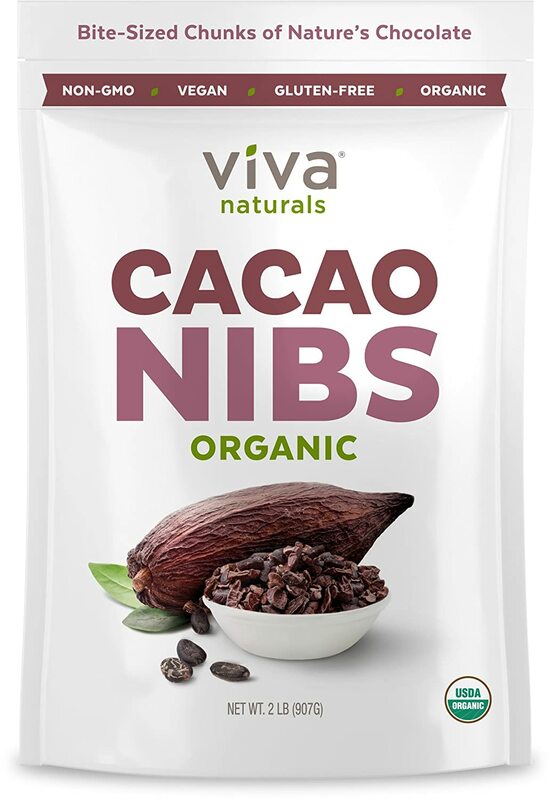 The high fiber content in cacao nibs may help to keep your bowel movements regular and help you lose weight (1). You can easily add cacao nibs to your plain yogurt or oatmeal for that chocolate craving and antioxidant boost! Beef jerky is an easy snack that you can find almost anywhere. It is high in hunger-satisfying protein which makes for a great snack when you are trying to lose weight. You’ll want to read the ingredients labels carefully though, as many of them are packed with sugar. Aim for grass-fed beef that is packed with healthy omega-3 fatty acids. 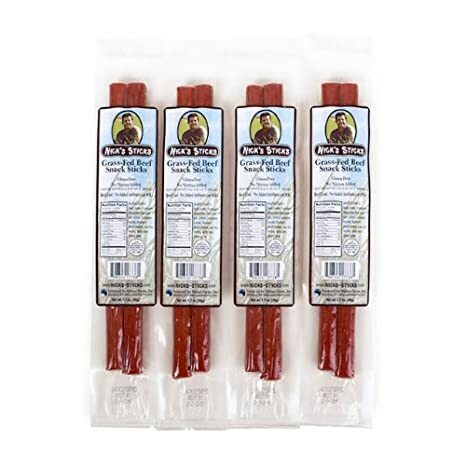 I currently enjoy Nick’s Sticks 100% Grass-Beef Snack Sticks, which are made with a simple list of ingredients that includes many of my favorite fat burning spices such as black pepper and coriander! You can also try turkey jerky, which usually has less sugar and calories per serving, but can be just as delicious! Celery paired with peanut butter provides both fiber and protein, making it a great snack that can leave your stomach feeling full. Peanut butter is packed with niacin, which keeps the digestive system on track and prevents belly bloat. Its high levels of monosaturated fats can help with losing weight and preventing heart disease. Keep an eye on the portion size though as it does contain a lot of fat. Eat more celery and limit yourself to no more than two tablespoons of peanut butter a day. Pay close attention to the jar label and only choose ones where peanut is the one and only ingredient. Nuts are highly nutritious as they are loaded with healthy fats and important nutrients like Vitamin E and magnesium. Some nuts, such as walnuts, actually boast a rich source of heart-healthy omega-3 fatty acids, similar to that of salmon. Adding to the power of the heart-healthy fats, the fiber in nuts has also been shown to lower cholesterol levels. Nuts have been shown to be beneficial for weight loss, as its fiber and protein help you feel full longer and less likely to overeat. 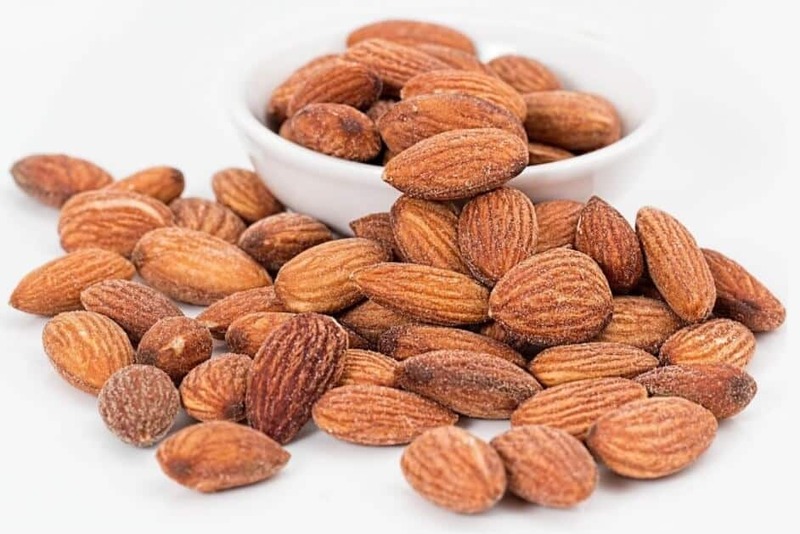 People also stick with their eating plans longer if nuts are included, as they don’t feel like they are on a diet when they were allowed to eat nuts. 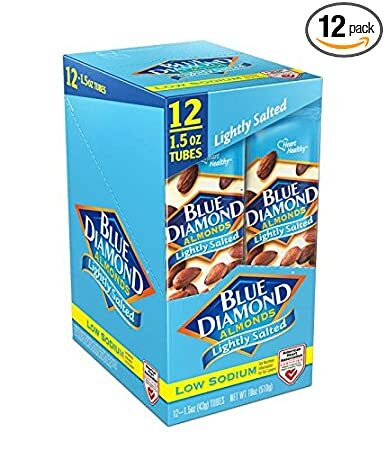 When purchasing packaged nuts, go for the low-sodium options to avoid fluid retention. Bonus Tip: pre-portion nuts in small bags to control portions and avoid mindless eating. Avocados are healthy fruits that are high in fiber, and low in carbs – two attributes that help promote weight loss. Eating avocados have also been shown to make you feel more satisfied and reduce your desire to eat for a few hours after consumption. While avocado is a high-fat food, it is loaded with heart-healthy monounsaturated fatty acids. Studies have shown that eating avocado can improve heart disease risk factors like total, LDL and HDL cholesterol, as well as blood triglycerides. Bonus Tip: Squeeze fresh lime juice and sprinkle salt and black pepper to further enhance its flavor and promote weight loss. 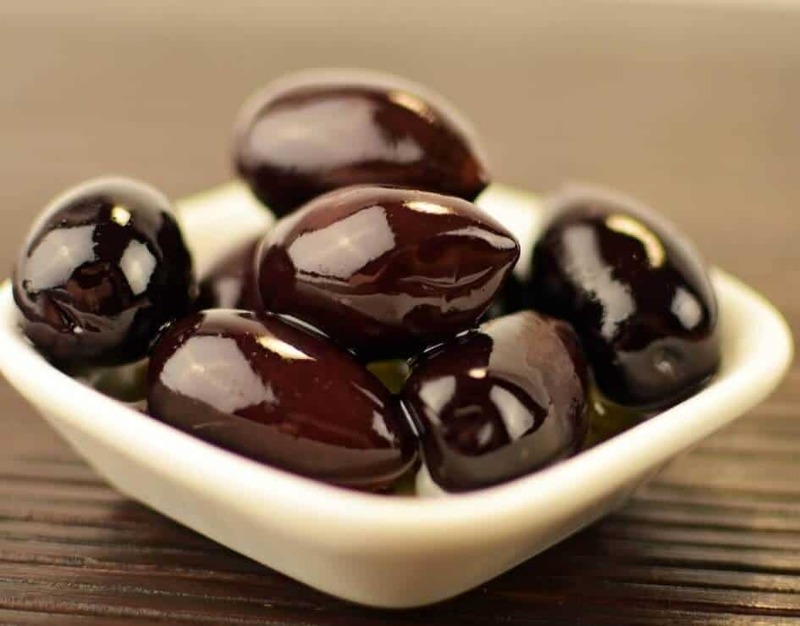 Olives are low in calories and high in healthy fats, making them a great addition to your snack lineup for weight loss. They come in different varieties and flavors giving you extra colorful and delectable snacking options. You can easily buy kale chips at the store nowadays, but they are expensive and usually filled with ingredients that can increase the calorie and carb counts. They are actually fairly easy to make at home, saving you both money and carbs. This crunchy Cumin Chili Lime Kale Chips recipe adds a burst of flavor with fat burning spices! 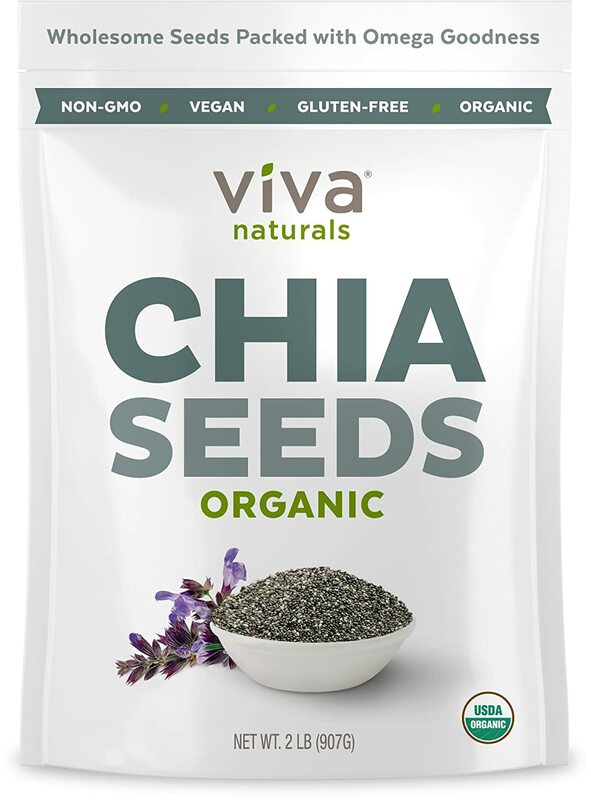 Chia seeds pack an impressive 11 grams of fiber in just two tablespoons, making it one of the most effective appetite suppressants for weight loss. If you are a fan of the ease of overnight oats, you will love chia pudding as well! It’s one of the tastiest ways to work this superfood into your daily diet. For a delectable chocolate chia pudding snack recipe that can help you lose weight, check out this Mint Chocolate Chia Pudding. Losing weight is not easy, but you don’t have to deprive yourself of delicious snacks and foods. You just need to choose what you eat more wisely. The key is to plan ahead so that you have easy access to healthy foods and snacking options before you go hungry. 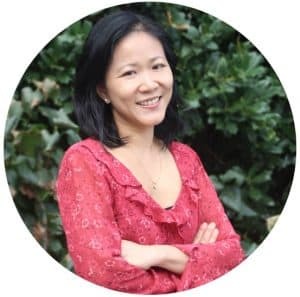 If you enjoyed this article and are looking for a step-by-step guide for natural weight loss with a structured meal plan and recipes, check out my 21-Day Slim Down Challenge to learn how I lost my first 10 pounds in a month without working out or starving myself, using spices and healthy greens that has been used for thousands of years in traditional Asian medicine to maintain a healthy body and weight!